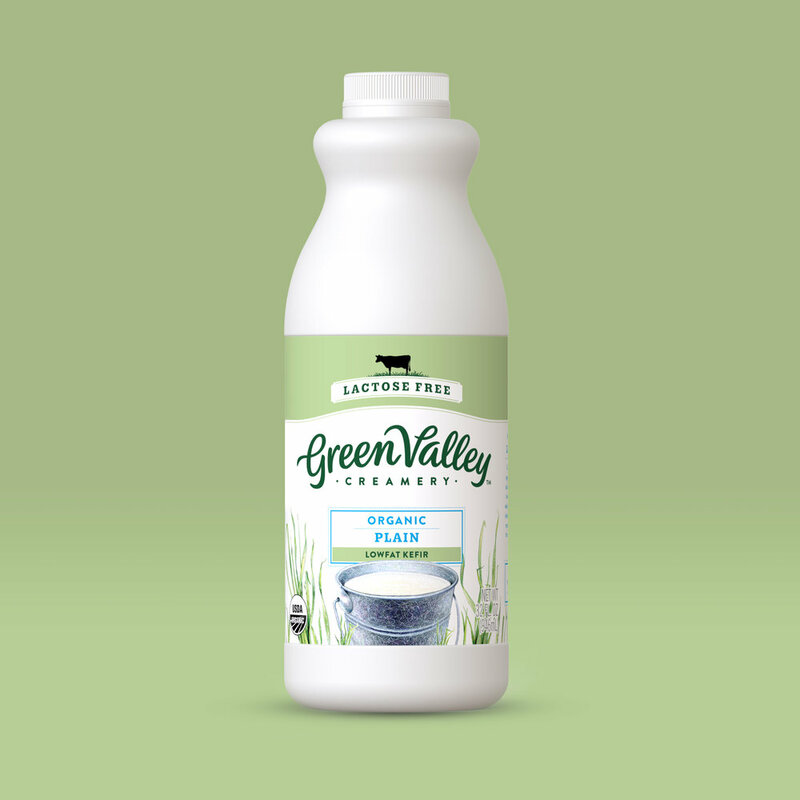 Green Valley Organics gives the satisfaction of real dairy back to those with lactose sensitivity. 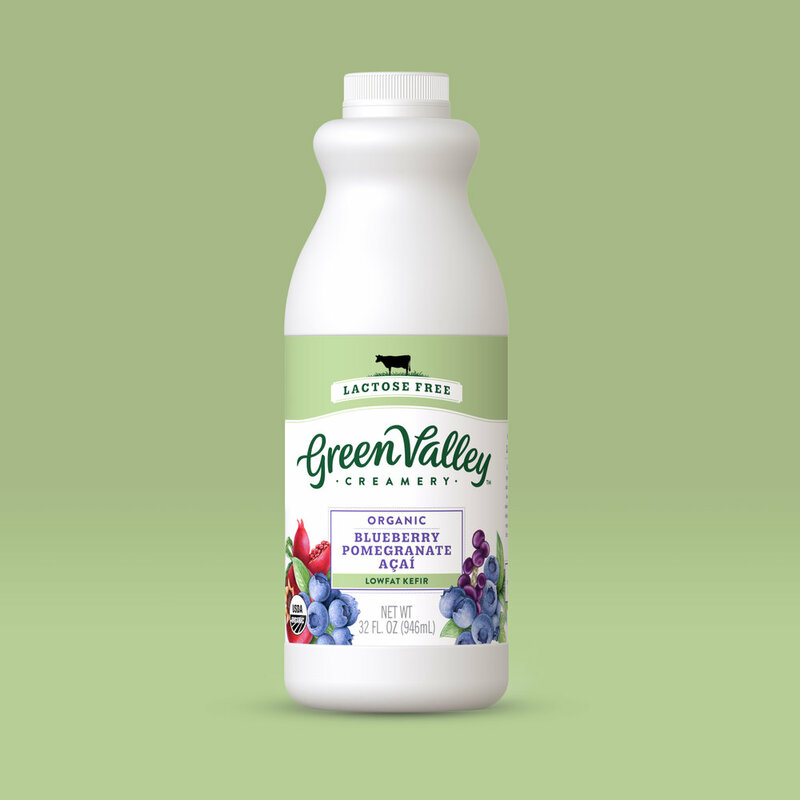 Green Valley Organics challenged us to give their line of lactose free dairy products a fresh look to stand out on shelf while maintaining brand equity. 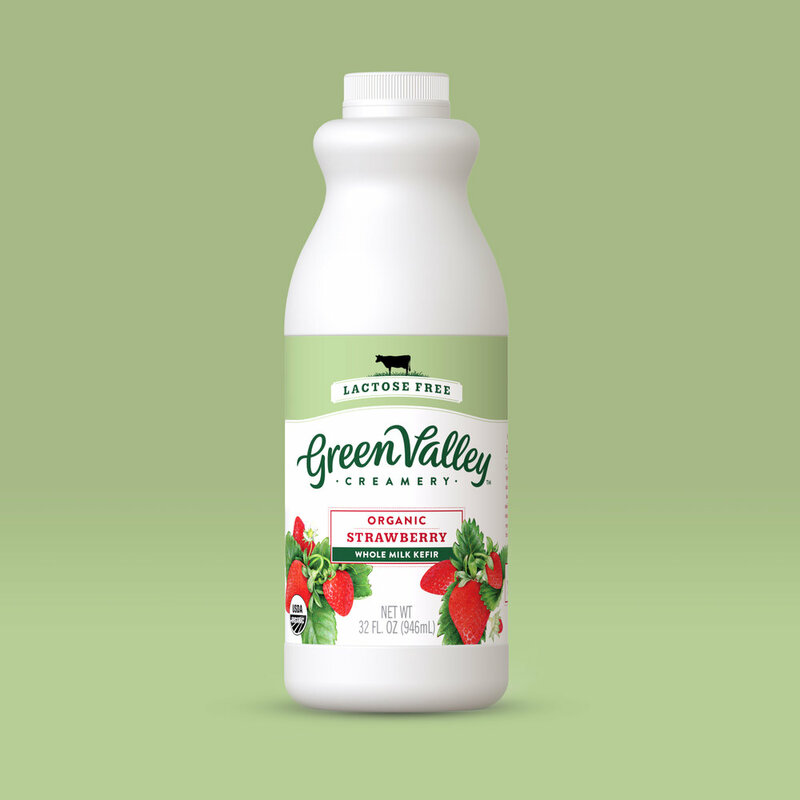 Green Valley Organics was renamed to Green Valley Creamery to leverage the brands creamery roots. 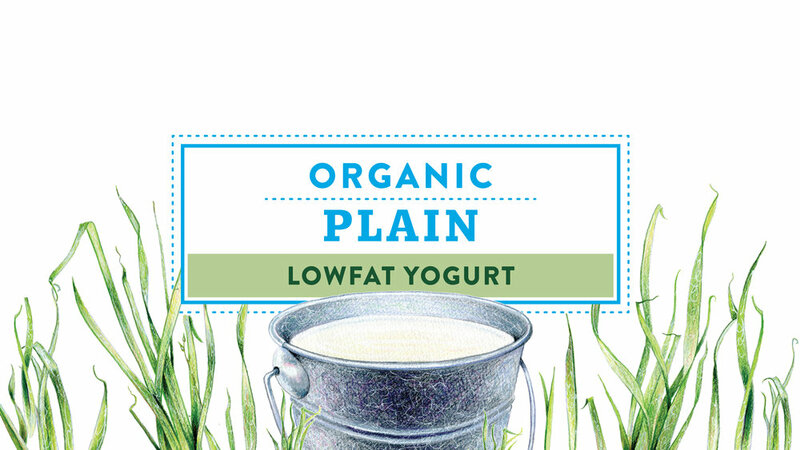 The new, simple, clean brand mark stands out on shelf and evokes a farm fresh feeling. 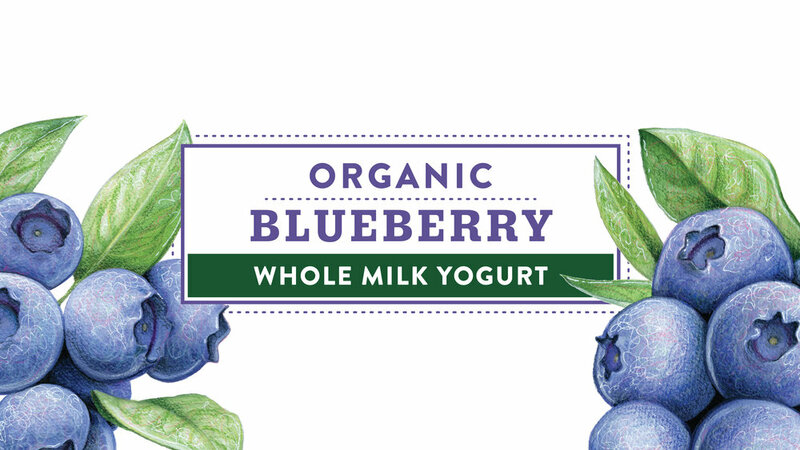 We developed a flavor-forward visual approach. 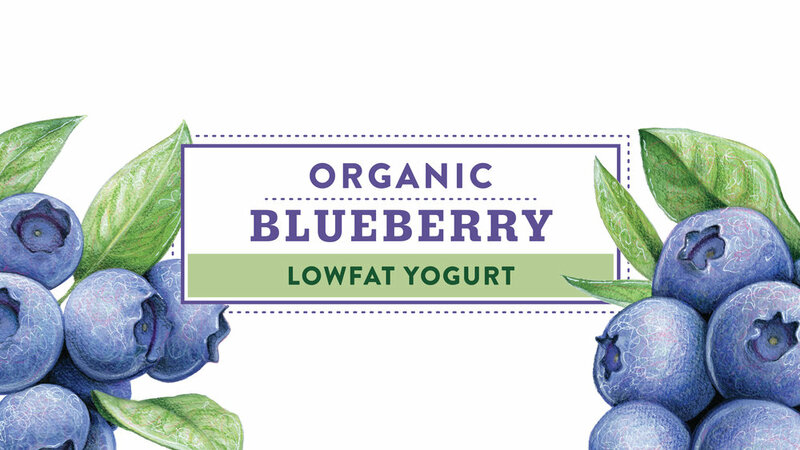 The ingredients were brought to life with stylized, botanical illustrations, elevating appetite appeal and creating a fresh look in the category. 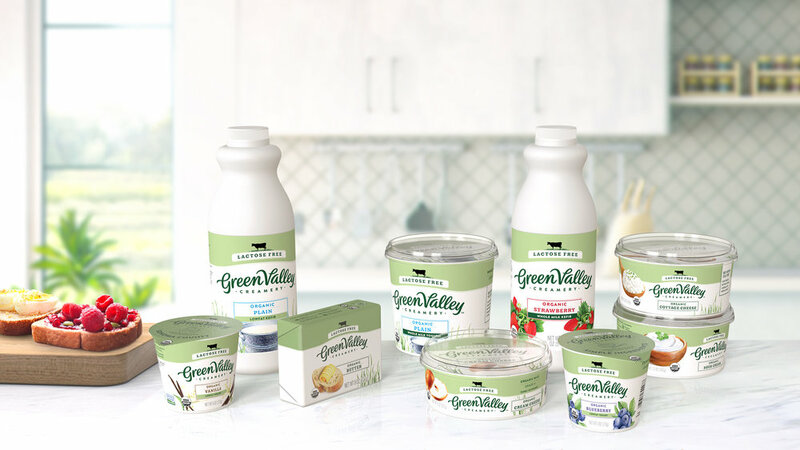 Green Valley Creamery packaging launched in April 2018 and is on shelves now!